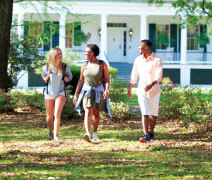 Located in one of Mobile’s most picturesque neighborhoods, Spring Hill’s campus rests on 381 acres, is naturally landscaped, and features huge oaks, azalea-lined walkways, and an 18-hole golf course. Several buildings are listed in the National Register of Historic Places. • 1,496 total enrolled students come from 36 states and 11 countries. • 60% of the students are women and 40% are men. • 60% of students are from outside Alabama. • 51% of students are Catholic. • Our students contribute 27,000+ hours to the local community each year. • Spring Hill has more than 50 registered student organizations. Founded in 1830, Spring Hill College has provided a powerful liberal arts education in the Jesuit tradition for almost two centuries. Spring Hill’s mission is to form leaders in service to others, fulfilling the unique potential of each individual. As a result, our students are engaged, inspired, and transformed by their experiences. One hundred percent of students receive financial aid, including scholarships, grants, federal loans, and work-study. Located on the Gulf Coast in Mobile, Alabama, Spring Hill College is only 30 minutes away from some of the country’s best beaches. With a population of approximately 540,000 residents, the Mobile Bay area combines southern beauty and charm with a fast-growing metropolitan area. The region offers professional, cultural, and recreational opportunities for people of all ages. A Spring Hill College education prepares alumni for a variety of graduate and professional opportunities, from community service and political office to medical and graduate school. 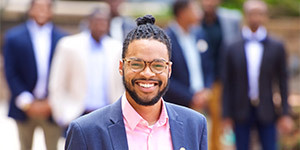 Our Pathways to Purpose programs help students explore and pursue career paths that best fit their individual goals as they join a network of close to 12,000 alumni worldwide. • Our graduates earn 28% above the national average salary. Focused on the Jesuit principle of cura personalis, or care and development of the whole person, students are encouraged to actively build skills, discover passions, and reflect upon strengths and opportunities as they plan their futures. 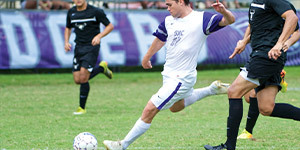 Spring Hill College has participated in intercollegiate athletics since 1889 when the baseball team first took to the diamond. The Badgers currently have 16 teams that compete in NCAA Division II and the Southern Intercollegiate Athletic Conference (SIAC) or the Gulf South Conference (GSC). Since 1979, SHC has produced 61 NAIA All-Americans and 180 Daktronics-NAIA Scholar Athletes. • Academics: Our student-athletes maintain a high level of academic excellence with an average GPA above 3.0.